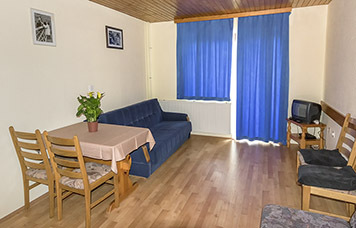 Since 1995 we offer our visitors comfortable accommodation in an independent facility which was builded only for tourist activity. In the ground floor, there is the dining room or multifunction room, suitable for different social events (organization of courses, seminars, workshops, meetings …). In the upper floor, there are cozy apartments with a total of 16 beds.. In the summer time our guest can enjoy in many sports and leisure activities while in winter they can ski on the ski slopes of Stari vrh (500m distance). All apartments have a direct view of the whole ski resort. 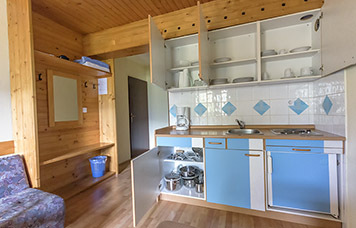 Apartment for 2 persons has a separate day and night part and a balcony with beautiful views of the ski slopes of Stari vrh. 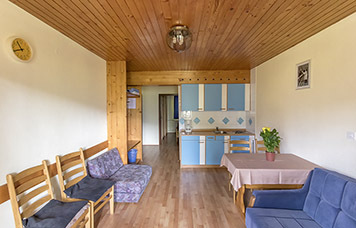 Apartment for 2 (+1) persons has a separate day and night part and a balcony with beautiful views of the ski slopes of Stari vrh. 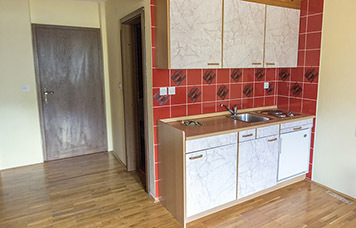 Apartment for 2 (+2) persons has a separate day and night part and a balcony with beautiful views of the ski slopes of Stari vrh. Our tourist farm Zakrašnik is located in the heart of the Škofjeloško hribovje, near the ski resort Stari vrh. An idyllic location, surrounded by unspoilt nature, offers you unique escape from crowded city to spend a quiet holiday or leisure time.